He's been fighting hard in a jury trial for about three weeks, getting progressively sicker each day with pain and nausea until on Thursday he just couldn't continue. There's only about two days left in the trial and of course Doug wanted to finish it for the client because that's Doug’s way. He would always fight to the very last inch for his clients and his principles, and that's why he's been both reviled and loved. Anyway, he just couldn't do it and the case was adjourned for me to take him to emergency and that's where this pervasive cancer was discovered. Despite the pain and nausea and weakness, up till yesterday afternoon he was still determined that he would go back to court on Tuesday for his very last jury address. That is not going to happen, as he just is not able. It’s very hard to believe that he is at this state in his life, so suddenly. I am infinitely grateful for the people who have seen who he really is, and cared enough to communicate this to him, reminding him that he has not been alone in these terrible struggles. I hope that those of you who feel inclined to do so, will send him a little message of what is in your heart and mind for him. You can email me in reply to this letter, or send messages to Box 101, 255 Menzies Street, Victoria, BC, V8V 3G6. Emails would be better as they will get here faster. His email address is dougchristie@shaw.ca and he can get them on his cellphone, which he has with him in the hospital while they do more tests and try to get his pain and nausea under control before he can, we hope, come home. He does not have the stamina right now for visitors or many phone calls. NOTE: Indeed, let's show our moral and spiritual support to Doug Christie and his family in whatever way you can at this critical time. The big banks will often string homeowners along for months or even years with loan modification promises, only to drop the hammer on them at the most inopportune time. 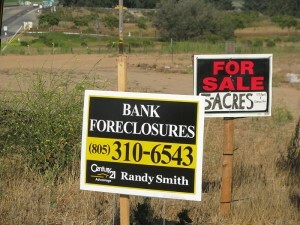 Over the past several years there has been case after case where mortgage documents have “disappeared”, where big banks have “manufactured” missing documents out of thin air and there have even been cases where big banks have tried to foreclose on homes that do not even have a mortgage. Once in a while, the big banks get a small slap on the wrist, but nobody ever really gets into much trouble for any of this. In fact, the big banks just continue to gain even more market share and even more power. Hopefully when some of these foreclosure horror stories start to become publicized more widely we will start to see some real changes in the marketplace. This documentary tells the story of a fight between a heroic Canadian farmer, David Schmeiser, and a notoriously greedy biotechnology corporation called Monsanto. The propaganda and lies of the mega corporations when questioned about the safety of GMO products is amazing. This documentary tries to reveal the truth behind how GMO crops and the GMO industry is playing us all for fools. This movie tells the story of the successful uprising of the indigenous peoples of Bougainville Island against the Papua New Guinea army and the mining plans of the mining corporation Rio Tinto Zinc (RTZ) to exploit their natural resources. The documentary reveals how the Bougainville Revolutionary Army (BRA) managed to overcome the marine blockade strategy used by the Papuan army by using coconut oil as fuel for their vehicles. ZERO: An Investigation into 9/11, has one central thesis – that the official version of the events surrounding the attacks on 9/11 cannot be true. This feature documentary from Italian production company Telemaco explores the latest scientific evidence and reveals dramatic new witness testimony, which directly conflicts with the US Government’s own account. The mass medication of our drinking water supplies with Fluoride is by far the world’s greatest experiment. The evidence that suggests drinking water that has been fluoridated is mounting. 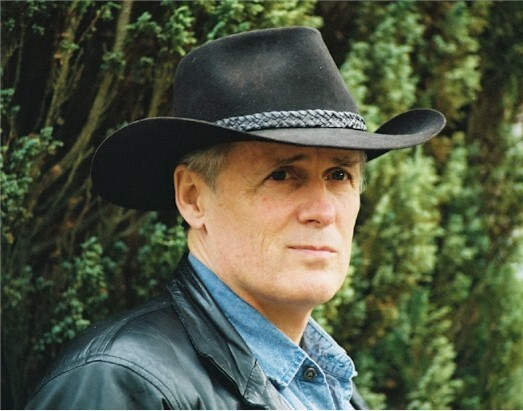 Now, for the first time, a leading expert on the dangers of drinking fluoridated water has come out to expose the risks and dangers of drinking fluoridated water. Although ‘The Truth About Fluoride’ may not be a documentary per-se, the evidence that is presented by Dr. Paul Connett in ‘The Truth About Fluoride’ warrants this presentation be added to this must watch top ten documentary list. The Obama Deception has had more than 12,000,000 views on YouTube and is by far one of the best documentaries I have seen. The Obama Deception reveals the hoax that we have all fallen for by exposing who are the masterminds behind the New World Order. To some, the producer (Alex Jones) is reviled. To others, he is a hero. However, irrespective of what your thoughts are of Alex Jones, on this occasion, he has produced an unbelievable informative documentary that everyone must watch. For 50+ years the Bilderberg Group didn’t exist, and it was just a “conspiracy theory.” Now in the past decade since 9/11, its acknowledged to be a real secret society with real influence. Having created the European Union and the Euro over the span of the past half-century, the Bilderbergers are literally the movers and shakers of the global government being ushered in called the New World Order. The Ultimate Bilderberg Group Documentary is a compilation of some of the most revealing insights into who is the Bilderberg Group. Footage from the Ultimate Bilderberg Group Documentary has been derived from many well-respected documentaries, creating a unique insight into the Bilderberg Group that has never been seen before. Zeitgeist Addendum is documentary released in 2008 that was produced and directed by Peter Joseph and is the second installment of the Zeitgeist trilogy. What makes Zeitgeist Addendum the best of the Zeitgeist trilogy is that it tries to identify the root-causes of many of the world’s problems and then tries to offer a solution. However, not everyone enjoyed Zeitgeist Addendum. Click here to read one critical review. I encourage you to watch Zeitgeist Addendum, it will open your eyes to some compelling theories you may have never heard. A feature-length documentary of Nazism in the U.S. Nazi America: A Secret History traces the history of Nazi’s in America from the fairly benign organization that gave structure to newly arrived German immigrants to today’s neo-Nazis who breach the borderline of free speech by using radical action to force their agenda of Aryan purity. It’s also a history of the imperfection of American freedom. Why in the World are They Spraying is an informative and thought-provoking investigation into one of the many agendas associated with chemtrail / geoengineering programs (weather control). Directed/Produced by Michael J. Murphy and Produced/Edited by Barry Kolsky, Why in the World are They Spraying exposes the many agendas associated with geo-engineering programs. Andrew Puhanic is based in Melbourne Australia and is the Editor of the Globalist Report.The Globalist Report is an Alternative News platform that aim’s to publish informative and relevant articles about issues that the mainstream media ignores. Click here to contact Andrew Puhanic. You may also contact Andrew via Facebook and Twitter. "A plan being pushed in Congress right now by senators from both major political parties would force all Americans to get a biometric national ID card. It is being promoted as a key "immigration reform" measure, but the truth is that a national ID card is much more about the government's endless appetite for more control over the American people. If this national ID card plan is passed by Congress, you will not be able to get a job without one. So how are you going to survive if you can't work? In addition, this national ID card would undoubtedly soon be used to identify us for all sorts of other purposes. For example, have you tried to open up a bank account lately? They make you jump through all sorts of hoops to prove that you are who you say that you are. So what would happen if the government decided to require you to show your national ID card before opening up a bank account? If you refused to get a card, how would you be able to function in society without a bank account? Would you try to conduct all of your transactions in cash only? That might work for a while. And of course you would not be able to drive or get on a plane without your national ID card. So forget about going anywhere. Are you starting to get the picture? 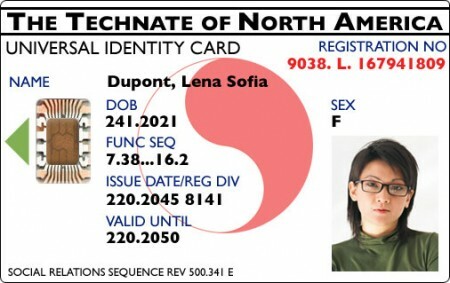 Unfortunately, the push for a national ID card in the United States is only a small part of the overall push toward a "global ID card" that is happening all over the planet. The eventual goal is to have a "universal ID" that every man, woman and child on the planet will be forced to take. Then a few months ago, Delgado found out about a group that rents small parcels of farmland cheap near his town of La Rinconada in southern Spain. Now he' s bringing home boxes of tomatoes, onions, peppers, lettuce, zucchinis and pumpkins. But he is not selling them. "I had no clue about agriculture," Delgado said. "But this has changed my life." "It is possible to live without a job, and that doesn't mean living without working," Gisbert says. Trading produce for other services and merchandise is one of the many unconventional ways the Spanish are making ends meet in what has been described as the new "sharing economy" that has developed here since the economic crisis hit more than four years ago. The deepest economic crisis in Spain's modern history is rooted in a housing boom financed by cheap loans to builders and home buyers who went bust. Homes were not worth what was borrowed to buy or build them. Some Spaniards are using so-called time banks to "deposit" time, knowledge and skills and trade them for things they need. All services have the same value, whether it is one hour of teaching a foreign language or one hour of cleaning house. "I first joined because I like the idea of people helping each other as it used to be long ago, but it is true that it is nice economic help," said Sanchez. "The world would work better without money." The number of time banks in Spain has doubled to 318 in the past three years, according to the Association of Time Banks. SocialCar.com allows people to rent their private cars to other individuals while JoinUp Taxi makes it easy for people to share taxis to the same destination. Nolotiro.org ("I Won't Throw It Out") allows people to give away things they don't need anymore, such as clothing or tools. Mi Huerto Compartido (My Shared Garden) allows land owners to "lend" ground in exchange for part of the harvest. And Truequebook.es users barter school books and other goods for children. "The main reason why people start using these sites is economic, whether it is to save money, make money or get goods or services without money," said Albert Canigueral, editor of ConsumoColaborativo.com, Spain's biggest site on the sharing economy. "However, once people have tried them out a couple of times, their mentality changes and they start looking at alternatives to traditional shopping as their only option." 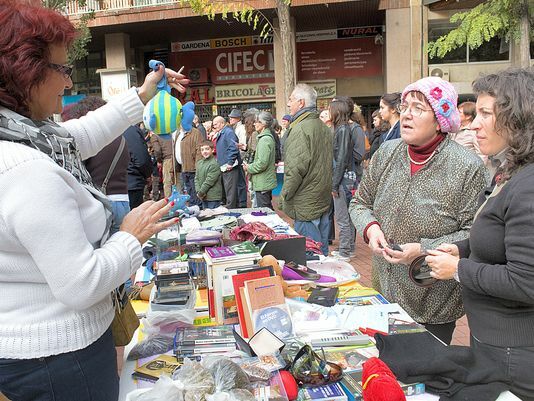 "In Spain, those who buy things that have been used carry the stigma of not being able to buy brand new stuff," explained Joana Conill, a researcher of alternative economic cultures at Universitat Oberta de Catalunya. The crisis and social media are changing people's habits and perceptions so "the attachment of people to objects is diminishing," said Jordi Griera, president of the Institute for Management and Human Values in Barcelona. He and others says that the economic crisis has also brought Spanish society closer together in a positive way. "The sharing economy is the gate to a cultural change in which people rediscover the power of getting connected with other fellow citizens not only to consume, but also to produce for each other, educate each other, finance each other," said Canigueral. BarcelonActua is a case in point. More than 7,000 people participate in this local "favor bank" where people help others without necessarily expecting anything in return. 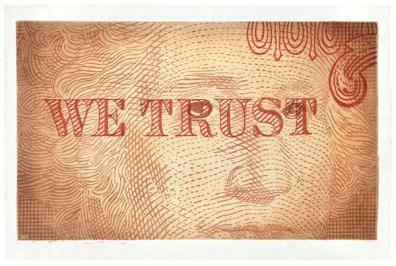 There is no control over who gets or gives what — everything is based on good faith. Anna Daura, 49, of Barcelona, posted on the organization's website requesting someone to help her clean out an apartment she owned that had been nearly destroyed by the previous tenant. She had lost her job a few weeks before and had little money to pay for the job. Minutes after posting her ad numerous people responded that they would help "for no money." A few days later, a dozen people went to her apartment with "incredible energy" and left it spotless, she said. "Nothing like this had ever happened to me," Daura said. Grateful for the help, she is now counseling other members of the network on how to start a business, her particular expertise. "I am convinced that the solution to this crisis will be from the bottom up," she said. "It is necessary, though, that people realize it." "Someone who didn't even know me offered to give me the $260 I needed for a new one," said Avila, in tears. "Of course this helped me financially but also emotionally — meeting these people is also a gift." "History shows that local currencies can work, and aren’t ravaged by the inflationary trends that affect our current money supply. At least twice in history, a form of money has existed where there was no incentive to accumulate it as a store of value because it didn’t earn positive interest in bank accounts. Instead, it had the equivalent of a negative interest rate (known as demurrage)—the longer you held on to it, the more you would have to pay—similar to a parking fee on money. This gave people who were paid in this currency a strong incentive to spend it or to invest it— preferably in things that would continue to be valuable over the long term. The velocity of this type of money, in other words, was quite high. Since people didn’t hoard it, it also was not scarce—there is strong evidence that its existence fostered long periods of prosperity in Dynastic Egypt and during the Central Middle Ages (10th-13th centuries) in Europe. In the first example, from Egypt, people would receive shards of pottery with a date on them when they put their grain into the storehouse. The longer the grain was stored, the more the charge was for the guards and waste as the grain spoiled. Called ostraka, these shards circulated alongside the precious metals rings and bars that were used for trade with foreigners. The Greeks, Egypt’s main trading partners at that time, would mock the plain clay Egyptian currency. Yet the Egyptians thought the Greek obsession with metals was strange, “a piece of local vanity, patriotism, or advertisement, with no far-reaching importance,” as Henry Ford noted in his 1922 autobiography My Life and Work. They would accept Greek coins, but only for their metal content. NOTE: This is the first page of a lengthy 7 page article in the March/April 2013 issue of Utne Magazine. The magazine is currently on magazine stands everywhere. 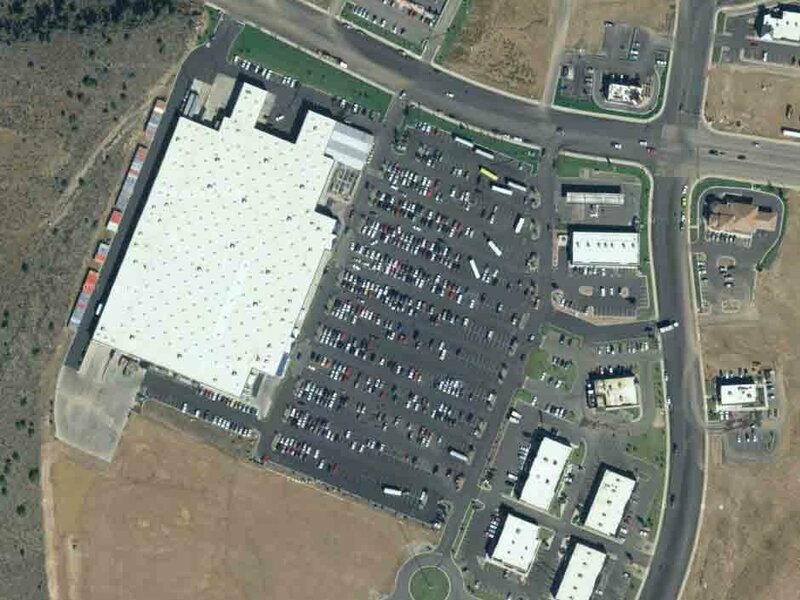 Back in the day when big box retail started to explode upon the American landscape like a raging economic scrofula, I attended many a town planning board meeting where the pro and con factions faced off over the permitting hurdle. The meetings were often raucous and wrathful and almost all the time the pro forces won — for the excellent reason that they were funded and organized by the chain stores themselves (in an early demonstration of the new axioms that money-is-speech and corporations are people, too!). The chain stores won not only because they flung money around — sometimes directly into the wallets of public officials — but because a sizeable chunk of every local population longed for the dazzling new mode of commerce. "We Want Bargain Shopping" was their rallying cry. The unintended consequence of their victories through the 1970s and beyond was the total destruction of local economic networks, that is, Main Streets and downtowns, in effect destroying many of their own livelihoods. Wasn't that a bargain, though? Despite the obvious damage now visible in the entropic desolation of every American home town, WalMart managed to install itself in the pantheon of American Dream icons, along with apple pie, motherhood, and Coca Cola. In most of the country there is no other place to buy goods (and no other place to get a paycheck, scant and demeaning as it may be). America made itself hostage to bargain shopping and then committed suicide. Here we find another axiom of human affairs at work: People get what they deserve, not what they expect. Life is tragic. The older generations responsible for all that may be done for, but the momentum has now turned in the opposite direction. Though the public hasn't groked it yet, WalMart and its kindred malignant organisms have entered their own yeast-overgrowth death spiral. In a now permanently contracting economy the big box model fails spectacularly. Every element of economic reality is now poised to squash them. Global currency wars (competitive devaluations) are about to destroy trade relationships. Say goodbye to the 12,000 mile supply chain from Guangzhou to Hackensack. Say goodbye to the growth financing model in which it becomes necessary to open dozens of new stores every year to keep the credit revolving. Then there is the matter of the American customers themselves. The WalMart shoppers are exactly the demographic that is getting squashed in the contraction of this phony-baloney corporate buccaneer parasite revolving credit crony capital economy. Unlike the Federal Reserve, WalMart shoppers can't print their own money, and they can't bundle their MasterCard and Visa debts into CDOs to be fobbed off on Scandinavian pension funds for quick profits. They have only one real choice: buy less stuff, especially the stuff of leisure, comfort, and convenience. The potential for all sorts of economic hardship is obvious in this burgeoning dynamic. But the coming implosion of big box retail implies tremendous opportunities for young people to make a livelihood in the imperative rebuilding of local economies. At this stage it is probably discouraging for them, because all their life programming has conditioned them to be hostages of giant corporations and so to feel helpless. In a town like the old factory village I live in (population 2500) few of the few remaining young adults might venture to open a retail operation in one of the dozen-odd vacant storefronts on Main Street. The presence of K-Mart, Tractor Supply, and Radio Shack a quarter mile west in the strip mall would seem to mock their dim inklings that something is in the wind. But K-Mart will close over 200 boxes this year, and Radio Shack is committed to shutter around 500 stores. They could be gone in this town well before Santa Claus starts checking his lists. If they go down, opportunities will blossom. There will be no new chain store brands to replace the dying ones. That phase of our history is over. What we're on the brink of is scale implosion. Everything gigantic in American life is about to get smaller or die. Everything that we do to support economic activities at gigantic scale is going to hamper our journey into the new reality. The campaign to sustain the unsustainable, which is the official policy of US leadership, will only produce deeper whirls of entropy. I hope young people recognize this and can marshal their enthusiasm to get to work. It's already happening in the local farming scene; now it needs to happen in a commercial economy that will support local agriculture. The additional tragedy of the big box saga is that it scuttled social roles and social relations in every American community. On top of the insult of destroying the geographic places we call home, the chain stores also destroyed people's place in the order of daily life, including the duties, responsibilities, obligations, and ceremonies that prompt citizens to care for each other. But UCC law is not taught in law schools. It remains the domain of corporations and their operatives, who train their legal-department employees in UCC law as required – thus keeping the knowledge of this important mechanism “in house”. But one of the trustees of OPPT was professionally involved in UCC law for some time, and understands intimately how the “Powers That Were” manipulated the UCC to control the United States financial system at a very high level. Our planet’s resources – specified in the UCC filings to be the world’s gold and silver – cannot therefore be owned, sold to us for a price, metered out in ‘salary’ quantities to enslave us, or withheld to create poverty or destitution. Under the One People’s Public Trust, we all have equity. Our planet’s resources now belong to each of us in equal measure. That is our birth right. Now it islaw. Between 2011 and 2012, the Trustees lodged a complex series of filings with the UCC on behalf of its Beneficiary. 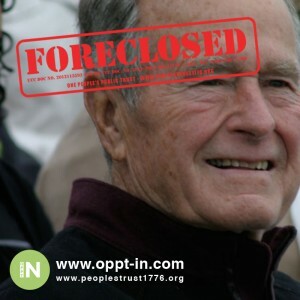 Full details of the OPPT’s filings with the UCC can be found on their website:http://peoplestrust1776.org. Be warned: it is very heavy legal reading and designed for the purposes of legal noticing and disclosure, not for communicating OPPT’s actions or their implications to the general public. However the Trustees are working directly with the global ‘alternative media’ community to ensure the public receive accurate, clear and relevant information. Regardless, as the demise of the old paradigm takes root and becomes apparent in our societies, apsychological change must happen within all of us. It may seem overwhelming, but we humans have dealt with paradigm change before; consider the internal and psychological change required of the African American slave race when the system of involuntary servitude was abolished… of the German people when the Berlin Wall was ordered down in 1989… of the citizens of the former Soviet Union at its dissolution in 1991… of the Egyptian people who removed their dictator in 2011… and of the Icelandic people who imprisoned their corrupt bankers and politicians and re-wrote their constitution in 2012…. Documentation relating to the creation and terms of CVAC’s is available atwww.peoplestrust1776.org. Further information will be published soon. Respect and gratitude to the Trustees of the One People’s Public Trust.